Equipped with resistant guard to avert debris. 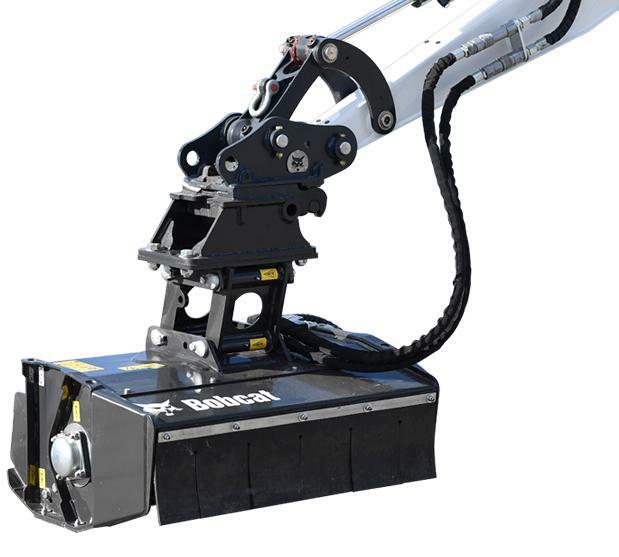 Drum stops from full speed in less than ten seconds when the flail mower hydraulic is deactivated. Can be used while driving, its self-levelling feature guarantees an easy operation and copying surface. SL FM 60 is equipped with 32 knives as standard, making it great for cutting tall weeds and overgrowth. The SL FM 85 comes with both Hammer(12) and Knives(24+12) version, Hammer which allows for a heavier application. Usually used for cutting saplings and denser overgrowth. 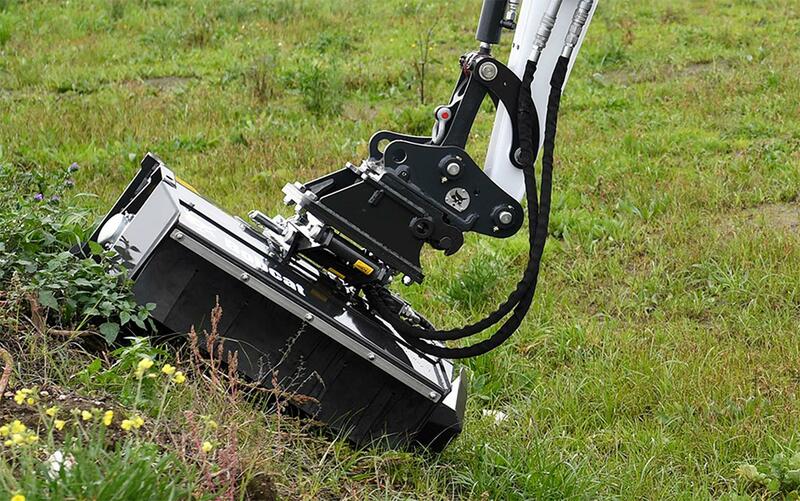 A product optimized for Bobcat machines, with no external drain lines needed. Clear out bramble or long grass from forgotten areas. Work on uneven terrain, where other mowers could not. Can also work on the areas hard to reach like Pylons, Solar panel, beyond the fence. Clean vegetation on any terrain, including roadways or ditches. The Bobcat self-levelling flail mower can be used for mowing areas that have debris. Designed for easy use, no additional training is needed for the operators. No need of drain lines makes it easily interchangeable between machines. Bobcat proposing a full portfolio of attachments makes us the right choice for rental companies. Coming soon: SL-FM105 and SL-FM125 to complete the full offer from E45 and up.